Great job again DaN! Killer article. Just fill it up every time you discover a unknown swedish metal-sweetie. Most reviews I've read on this site so far were all from that massive article. Very commendable! I obviously don't agree with you on all of them - Victim for example. Lousy record in my book. Also a bit more negative on a few other ones, Gotham City etc. but nothing so major. I do have a bit of a technical criticism though - it would look much better if all covers were next to their review. A table? I intentionally designed it a bit 'loose' and didn't want to overstructure it, just to make it a bit different from the regular review pages. I put the covers in one big column more for decoration really. Thought it would be easy to connect the dots anyway, so.. Your choice of course. Just thought it'd look better that way. Corimngul wrote: Victim for example. Lousy record in my book. I can't agree at all with Victim.Their single is very very good straight/down-to-earth metal like and personally it reminds me exactly nothing. 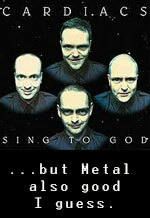 ION BRITTON wrote: Well, i think it was Sabbath bloody Sabbath's vocal lines that had been the *ahem* influence. Edit. And Dawnwatcher vocalist reminds me of Duran Duran's singer but please don't butcher me folks, I have nothing against Dawnwatcher! 6) The Wildness 7'' is excellent IMO. 1st song is more speedy and metallic, but Dreams is also a great melodic melancholic tune and it's still metal. 4/5 for this one. By the way, has anyone heard anything from onyx '83 demo? And in that case, would you recommend it? Yes, it's absolutely a killer demo. Im not sure if this is Metal or just 80s Swedish Hard Rock,but did not found this band on 101 Article nor on Rejected List. There is a couple more platina rec. singles that's not on that list. ARENA 7'' Breaking Loose is a cool HM one. this article is really great; I'm searching a lot of these and some are very difficult. Also I found many of these and some are really great records: Onyx, Zone Zero, NJB, 220 volt, Silver Mountain, Treasure, Sacrifice, Sergeant, Ambush, Spitfire, Faith, Airborne, Shakespeare, warning Scratch and others. Was a difficult search but are great records.